Since last February 22, Algeria has been shaken by street demonstrations that occur almost simultaneously in all the 48 provinces of the country. 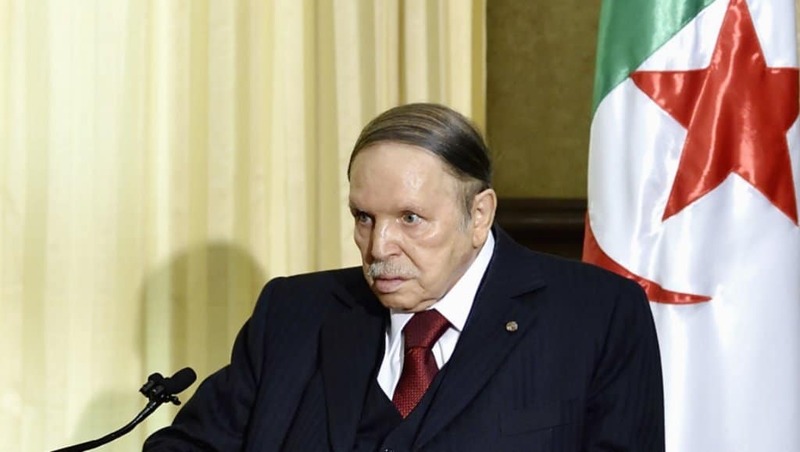 Working on the assumption that the people’s anger is entirely spontaneous, its immediate origin is the announcement by President Abdelaziz Bouteflika he wants to run for his fifth term, which should start following the elections scheduled for next April. President Bouteflika, who is over 80 years of age, is in very poor health. In fact, as far as we know, he is currently hospitalized in Geneva for treatment, probably as a result of the two strokes he suffered in 2013. Bouteflika, however, made his spokesman, Abdelghani Zaalane, state that the upcoming election will be held on a date to be set by the National Assembly. In any case, Bouteflika does not intend to serve until the end of his next presidential term, but will confine himself to setting, as President, the date of the new election. Moreover, the elderly and sick leader has promised the adoption by referendum of a new Constitution, partly already drafted, and a reform of the electoral law. The Presidency, however, is currently run by the Head of the intelligence Services and by the Chief of the Armed Forces, who really pull the strings of Algeria’ s political and economic transition. However, who is really ruling in Algeria while, in the electoral campaign, Bouteflika keeps on showing his photos of twenty years ago and is never heard on the radio or on TV? The power of the traditional leader of the FLN, who has been President for twenty years, is now divided into three groups: the presidential and political power; the military and intelligence one, and finally – albeit certainly not to be neglected – the branch of family and State affairs, as well as internal and international influence. The Armed Forces, however, still play a primary role and seem to have great autonomy. Over the last few years, President Bouteflika has tried to reduce their autonomy in favour of his business clan, to which not even the senior officers of the intelligence Services and of the Armed Forces are alien. The military take orders only from the President himself, where possible, but above all from his brother Said. In the Algerian political circles’ imagination, the latter still epitomizes the true eminence grise of the regime. It should be recalled that Abdelaziz Bouteflika was Foreign Minister several times from 1960 to 1970. In 1979 he voluntarily relinquished power after the death of Houari Boumedienne, of whom he had been private secretary. He finally settled abroad, at first in the United Arab Emirates (which, in fact, have played a significant role in Algeria’s current “transformation”) and later in Switzerland and France. Shortly after Boumedienne’s death, he was accused of embezzlement of State funds. In 1999, only upon the military’s request, he returned to Algeria to rule it, following the resignation of General Liamine Zeroual. The old FLN President, however, has always done everything to move the military leaders away from the real centre of power, namely business and intelligence. Moreover, Bouteflika amended the Constitution twice to increase his powers and, above all, he has brought to power a new class of businessmen, who depend only on him. As happens also in Western Europe, the political parties are now only the pale shadow of what they were in the past. Political aggregation is achieved with the traditional advertising-style systems commonly used also in the West, but there is a sort of fear and prestige of the Leader, namely Bouteflika, that still lingers within the crowds. Here the political parties include the traditional group of the National Liberation Front (FLN) and its traditional ally – the former Soviet-style single party, known as Rassemblement National Democratique- as well as the Islamists (we do not know yet whether “moderate” or not) of the Rassemblement de l’Espoir de l’Algerie, and various other small parties. There is also the old single union, namely UGTA. As already mentioned, one of Abdelaziz Bouteflika’s first supporters is his brother Said, who is the official advisor to the Head of State. He is aged 61, but nobody knows his true role and personal power which, however, is presumably very strong. Opponents say he is the only one who chooses Ministers, but also decides policies and carefully coordinates news on the media. He never granted interviews. Former Professor at the University of Algiers and trade unionist, Said has a wide network of very solid friendships, both in Algeria and abroad, including Italy. The other man at the core of Algerian power is Ahmed Gaid Salah. He is aged 79 and is both Armed Forces Chief of Staff and Deputy-Minister of Defense, considering that the role of Minister is officially played by the President of the Republic. He is considered Bouteflika’s lieutenant. He has certainly obtained personal advantages thanks to his current role, especially when, in September 2015, the elderly President marginalized Mohamed Mediene, known as Toufik, the traditional Head of the Algerian intelligence Services he had led for 25 years in a row. Bouteflika had openly accused Toufik of incompetence but, in the logic of the elderly President, the sense of his removal is to fully and safely control all the Algerian military apparatus and subject it to his wishes, which are above all those of the lively Algerian business community. At the core of the Algerian FLN power elite, there is also Athmane Tartag. He is the new Head of the intelligence Services. In the 1970s he trained for a long time at the KGB and in the 1990s he was a protagonist of Algeria’s very tough fight against jihadist terrorism. He is very close to Said Bouteflika. 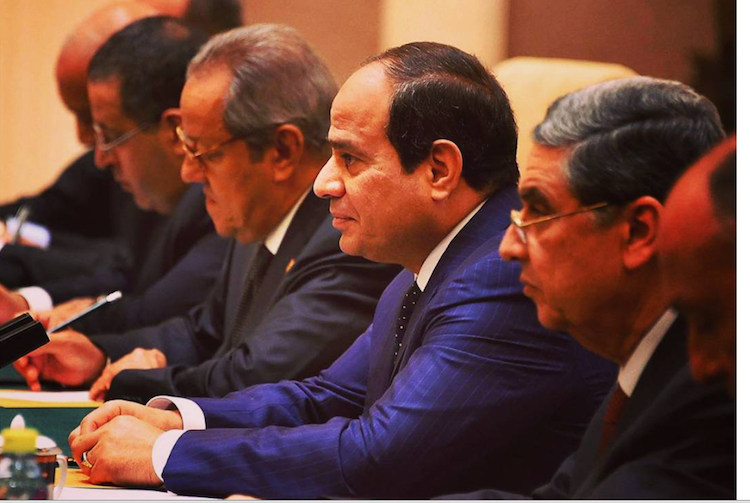 Nevertheless, the demonstrations throughout the country have now been reduced significantly by the current Prime Minister, Ahmed Ouhaya, who has spoken of “unknown sources” that allegedly fuel the street riots. Probably he is not entirely wrong. 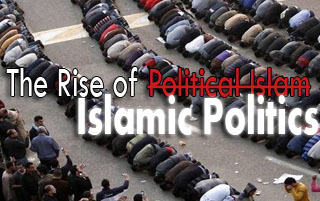 The fear of a new civil war, not necessarily linked to a new uprising of the “sword jihad”, troubles not only the ruling classes, but also the crowds in action. The latter do not absolutely want to go back to the 1990s and that was the spectre which, alone, stopped the possibility of an “Arab spring” in Algeria. It should be recalled that, at the beginning of the 1990s, the Algerian civil war – which was also the first mass evolution of jihad-exacted a toll of at least 200,000 deaths. For the Algerian crowds, in 2011 the only memory of those years avoided the “contagion” of the “Arab Springs” among the Muslim Brotherhood and the clumsy Western agents. The population and economic data, however, are currently similar to those found in the “democratic” propaganda machine of 2011: very strong corruption of the public apparata; widespread unemployment; a very high rate of youth unemployment and people’s poor aptitude for work. In fact, as early as the mass demonstrations of last February, the protesters’ demands have focused on stopping price increases – and in this case the government has decided not to cut subsidies -and on protecting and increasing the now miserable salaries of the public sector (hence with a quasi-automatic recourse to the corruptive bakshish), as well as on finally finding a solution to the very severe housing emergency. The government, however, has no money. It still depends on oil remittances (to the tune of 65%), which obviously fall in time of low oil prices and OPEC restrictions. The government must also come to terms with an old Soviet-style bureaucracy. 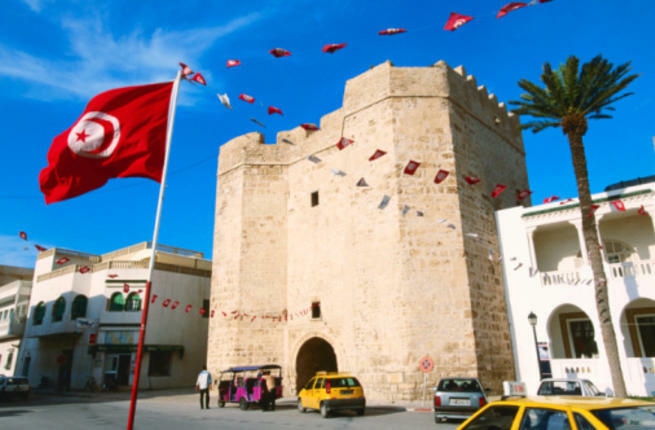 It still has a very extensive power on business and companies – a real longa manus – but is in fact isolated from the new strategic and military equilibria of the Maghreb region, to which it reacts without being able to change them. Furthermore, the relative increase in oil prices – made possible almost exclusively by a decrease in the production of OPEC, of which Algeria is also a member – has certainly provided a small new channel of fresh liquidity to the Algerian government, but has also broken fiscal discipline and further increased public spending. Hence higher taxes on imported goods – as first economic measure implemented by the government -and relinquishment of the subsidy cuts introduced in 2017, as well as increases for investment and social spending. According to the Algerian General Accounting Office, however, rebus sic stantibus, the deficit should be redressed in 2023. Furthermore, many customs duties have been levied on imports, which lead to an increase in prices. We should also consider the very poor success of the plans for economic diversification and for reducing “oil dependence”. Indeed, if anything, the Algerian authorities are trying to maximize profits from oil and natural gas and currently the GDP is growing thanks to the increase in public spending generated only by the increase in the oil price. However, what would be the real political alternatives to Bouteflika? Probably for want of anyone better, the FLN has already crowned him, but it could not do otherwise. Prime Minister Ouyahia does not know where else to turn, although he is also the leader of the Rassemblement National Democratique.In particular, there is such a level of tension between the various powers within the clan and political affairs of Bouteflika and the Armed Forces that no true new national leader can emerge. Among the protesters in the streets, there is growing consensus for JilJedid, the “new generation” political party, but the possible candidates also include Chabib Khelil, former Energy Minister and OPEC President, who has also the Moroccan citizenship, and is currently a powerful international consultant. Chabib Khelil has strong ties with the United States and a Palestinian wife with a US passport. This makeshis candidacy impossible, due to Algeria’s rules and regulations. Not to mention the judicial problems due to his old relations with SAIPEM. Another “new” candidate could also be Mouloud Hamrouche, a former “moderate” Prime Minister. Within the establishment’s natural strategy designed to fully support Bouteflika’s candidacy, we must also consider the recent ousting of the Police Chief, Abdelghani Hamel – who, at the time, was considered one of the most natural successors to Bouteflika – as a result of a drug trafficking case involving the powerful Algerian Police, that can rely on 200,000 men but – after the above mentioned reforms-is deprived of a reliable and stable Security Service. What doAlgeria’s current decision-makers fear? Obviously the “sword jihad”. We Europeans – and Italians, in particular – could add that the irrational disruption of Algeria relating to the “Arab springs” leads to a porous and uncontrollable Algerian coast, just as the danger of migration flows from Libya is slowly fading away and the migration flows from Tunisia have stabilized. Algeria is also deeply concerned about the tribal, jihadist and military instability that emerged in Mali during the elections held there between last July and August. The Algerian decision-makers are also worried about the great instability in Libya – currently a major problem for its military decision-makers – and obviously in Tunisia. With specific reference to Libya, Algeria is a clear, open and very helpful supporter of Al-Sarraj’s GNA, while its intelligence Services, which know the sub-Saharan deserts very well, are endeavouring for peace between the militias and the non-jihadist tribes of Fezzan, so as to later achieve the goal of a unified Libya. 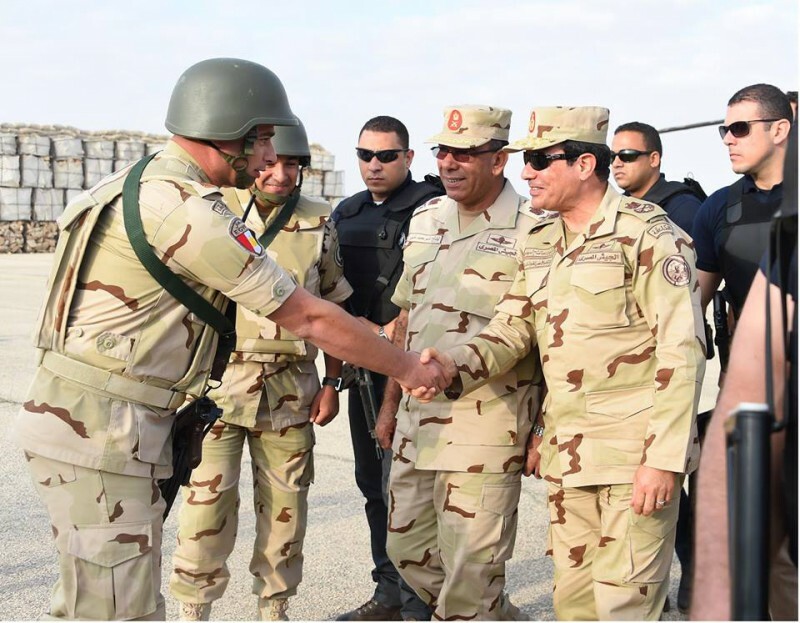 Shortly before the arrival of Haftar, who currently holds about 80% of the Libyan territory from the South. Nevertheless, apart from the recent amnesty for the local jihadists, which led to the surrender of about 88 militants of the “holy war”, all the Algerian military operations in Sahel are of scarce political relevance – and this is a very severe matter. Currently the Algerian Armed Forces can rely on 147,000 people – all well trained even in the desert -and on a total number of 460,000 reservists. It should also be recalled that, despite the economic crisis, Algeria spends 10 billion US dollars a year on weapons and, between 2012 and 2016, its military spending increased by 277%, almost all (80%) used to purchase Russian weapons. Algeria is still the fifth largest importer of weapons in the world and the third largest buyer of Russian weapons. It is also worth recalling that, although currently Algeria is not a place for migrant transit to Europe, there are still very active old routes from sub-Saharan Africa up to Tamanrasset and then leading to Morocco, Libya and Tunisia. Currently the only chance for avoiding the rehabilitation of the Algerian coasts for the transit of migrants heading to the EU and, above all, to Italy, is solely the Algerian authorities’ very firm will to repress these flows. If this is no longer the case, we will soon have a powerful and effective alternative for the new transit of illegal migration flows from the Maghreb region to Italy and to the other European and Mediterranean ports. Algeria, in fact, has long been gathering its many irregular migrants and directing them, manu militari, towards Mali and Niger. There are some agreements between Algeria and the Sahel countries, but there have also been tensions, since Algeria has often imposed its pace and its weapons on sub-Saharan Africa, even with some clashes with Mali’s and Niger’s forces. Hence there is great fear that insecurity – now endemic in the Maghreb region – spreads also to the wide Algerian territory, the greatest true strategic driver of Bouteflika’s current management. The Algerian regime is certainly not wrong in assessing the facts in this way. The Kingdom of Morocco has denounced the fact that some months ago Algeria had the Iranian support in its old fight against the Polisario Front, with the subsequent closure of the Tehran diplomatic representative office last May. Even before the Algerian independence, the Polisario Front has been one of the souls of the FLN foreign policy. This is a sign that now the Algerian (and Moroccan) issue is at the core of the link between the jihad and the overt operations in all the internal areas of the two countries – and hence of their connection with the Sahel region. Nevertheless, there is still another issue on the table that is much more important than it may appear at first sight, i.e. the joint candidacy of Morocco and Algeria to host the 2030 FIFA World Cup. Another very great bet on the internal security of Bouteflika’s regime – and of Mohammed VI, who is very focused on this event to make his Alawite Kingdom rise to world fame. In all likelihood, however, the great global forces that disrupted Tunisia, at first, and then Egypt and Libya – thus making those old, but basically stable regimes an unbalanced system, largely porous from the South – are caring precisely about Algeria, which has all the characteristics to interest the global propaganda for world democracy: an old and sick leader – almost an absolute leader – an old protectionist and oil-based system, to be possibly made available to other OPEC countries; an internal demographic bomb and a major crisis preventing the young people and the new elites from finding opportunities in the Northern developed countries. A political-propaganda paradigm that is now very well tested, although ever more dangerous. The perfect scenario for an “old vs. young people” fight – as already seen in the US and French propaganda – or even a possible platform for internal liberalization, probably with the usual “moderate Islamists” who enter the political game, also because – just to use again the old-fashioned standards of Western propaganda -the blame for the sole presence of the sword jihad in the Maghreb region is to be laid on the “reactionary” governments’ “repression”. As already noted, with a view to facing the economic crisis and the lack of investment, the current Algerian regime has implemented a short-term expansionary fiscal policy, which has led to high inflation and only enables the government to buy for time, without being able to solve the central issues of State economy and the relationship between bureaucracy, political power, oil revenues and industrial transformation. For Algeria oil and natural gas still account for 97% of total exports, two thirds of State revenues and one third of GDP. These figures date back to 2014, but today data is only slightly different. The quantity of oil and gas reserves, however, does not bode well. Oil experts talk about twenty years of reserves still possible for oil and fifty for natural gas. It should be noted, however, that Algeria’s foreign debt still accounts for a mere 2% of GDP. Hence probably Bouteflika and his successors want to keep things as they are and, in the future, start modernization by resorting to debt and foreign investment, with two additional years of debt fiscal spending and then a massive sale of Algeria’s public debt securities, which could finance again both the currency status quo, held artificially too high, and public spending in subsidies and bureaucratic jobs for young people. However, the demographic bomb – the trigger of the “Arab Spring” old crises – is one of the first aspects to study. 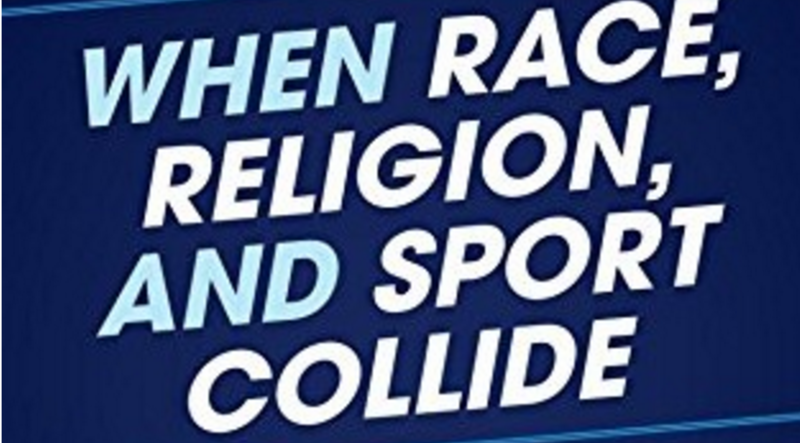 Also from the anthropological and cultural viewpoints. The young people, also in the West, aredéracinés, without the memory of what happened to the FLN to make it reach that point. Currently five sevenths of the Algerian population is below 21 years of age. In 2019,for the Algerian young protesters, “democracy” is not the fight against France and the pied noirs, possibly helped by ENI and the USSR, but only a decent job and food every day. Hence crowds easy to manipulate, who probably Elias Canetti, in his extraordinary book Crowds and Power, would have defined “incited crowds”. Currently, the Muslim Brotherhood that has always been at the origin of “Arab springs” – also for induction and interferences from abroad – is particularly active in Algeria. Hence the classic paradigm of the quasi-spontaneous people’s rebellion is ready, but probably Bouteflika will agree-albeit only after his fifth reelection (probable because his regime is seen as a factor of stable economic and civil growth) – on a new name, although always representing the old elites. A new leader that will build new and good relations with China (which has reduced its oil and gas purchases), but above all with Japan and the EU, which could really change the whole production formula of future Algeria, by changing and expanding the terms of economic trade between Algeria and the European Union. Provided said leader will have the necessary skills and strength, attitudes about which I am doubtful.